Prior to his promotion to President, Dylan Thomas managed London Air Services Fixed Wing and Rotary divisions as Operations Manager. Dylan joined LAS in 2005 as the Chief Pilot – Helicopter to introduce the AW139 into the LAS fleet and Canada. He is the most experienced AW139 pilot in Canada and acts as a Transport Canada Check Pilot, IFR Pilot Examiner, AW139 Instructor and Agusta Westland Demonstration Pilot. Dylan began his flying career in the Canadian Air Force in 1991. In the Air Force he gained a broad experience in VFR and IFR flying. Capt. Thomas was selected to fly for the elite Special Operations Flight in support of JTF-2 (Canadian equivalent to US Navy SEALs or UK SAS), and was promoted to Flight Operations Officer of the unit. While in this position he was responsible for the deployment and operations of the Flight on a wide variety of classified counter-terrorism missions. Following Dylan’s 10 years in the military he returned home to Vancouver. Since 2001 he has been flying in various operations including Corporate, Airline, and Medevac. Dylan has been involved in the management side of these businesses ensuring high standards and fostering a positive safety culture while focusing on the customers varied needs. Dylan is active in the aviation community and serves on the Board of the Vancouver Harbour Heliport Society and currently is the President of the Whistler Heliport Society. 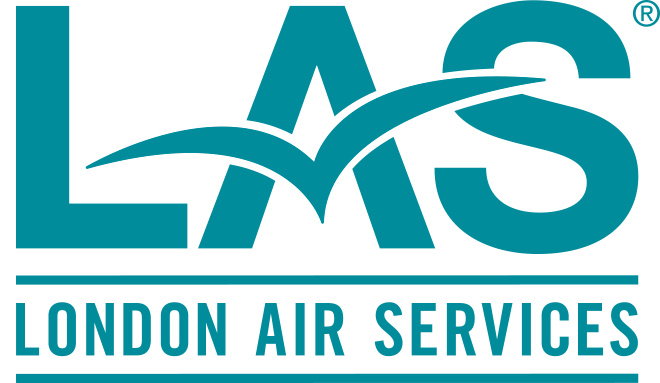 The London Air Services fixed wing division is managed by Matthew Spencer, an Airline rated Captain with over 20 years of flying experience. After completing a Bachelor of Arts degree at the University of Alberta, he was unable to give up on the dream of flying and immediately began training at flight school in Edmonton, AB. Mr. Spencer started his flying career in Edmonton, flying various turboprop aircraft, typically to remote northern locations often in unfavourable conditions. In 2002 he relocated to Calgary, before moving to British Columbia in 2005 to begin his career at London Air Services. Since starting on the Learjet 45 as a First Officer, he has steadily progressed to senior Challenger Captain and Deputy Operations Manager. Mr. Spencer brings a wide range of flying experience, a keen sense of professionalism and a strong drive to maintain the LAS reputation for being first in class. The London Air Services fixed wing pilots and Standards are managed by Curtis Murphy, an experienced aviator with 25 years’ flying experience. Mr. Murphy started his flying career in 1993 when he completed his Private License as a prerequisite for entrance into the Commercial Aviation Program at Okanagan University College in Kelowna. After program completion in Spring of 1996, he worked on the ramp for Kelowna Flightcraft while searching for his first commercial flying job. In May of 1997, Curtis moved his young family to Prince George where he began to work for Northern Thunderbird Air for a period of 1.5 years. Additional experience was gained while flying Medevac for Timberline for 1 year as well as Canada Jet Charters for a period of 3.5 years. Mr. Murphy joined London Air Services in 2003 as a Learjet First Officer. Curtis quickly progressed to Learjet Captain. In 2008 he was promoted to Manager of Training and Standards. In 2012 Mr. Murphy upgraded to the Challenger 604/605. Curtis has displayed strong leadership in developing and maintaining the LAS standards. He is dedicated to ensuring our pilots meet the highest training standards to ensure that LAS provides the most qualified aircrew to our clients. 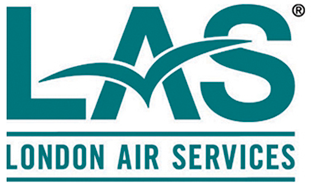 Chris Lacroix manages Aircraft Maintenance for London Air Services. Mr. Lacroix began his career with small piston engine aircraft in northern Quebec and northern Ontario. Once in British Columbia, Chris worked for nine years for a local operator, maintaining a fleet of turbo-prop aircraft that were available round the clock for the British Columbia Air Ambulance Operation. Mr. Lacroix started as Lead Aircraft Maintenance Engineer with London Air Services in 2003 when the company received its second Challenger. He was promoted to Director of Maintenance in 2005. Chris’ wide range of experience on airframe, engines and avionics has been invaluable as he managed our fleet acquisitions and major upgrades over the years. Chris has been a licenced AME on both the Learjet and Challenger for over 20 years. Mr. Lacroix is active in the aviation community and currently serves as Vice – Chair of the Bombardier Safety Stand down council and he has been a member of the Learjet Technical Committee since 2014. Susan Gomez manages the Client Services Department for London Air Services. Susan has gained a wealth of experience in her 17 year aviation career. Ms. Gomez began her career in Edmonton working for a local flight school and charter operator. In 2005 Susan came to Vancouver to coordinate flight operations for a provincial aerial firefighting operation. In 2016 she returned to the charter market working for a local charter airline before joining London Air Services in 2017. With her varied background Susan utilizes her experience and attention to detail to ensure that our client’s service department meets the client’s varied requests.